Exodus Live TV app has the popular channels that you know and love such as: HBO, Disney, HSN, CBS, TNT, Lifetime, ESPN, Sports Max, Euro Sports 2, CNN, Fox, NBC News, KTLA, NOTV, News12, WSFA, KTVM, ABC 27 News, and many, many more (Channels Screenshots at bottom). Exodus Live TV is100% Ads FREE. Each member voluntary contributes to allow club to stay up to date with the demands of its members. Therefore, considering the ever mounting price on cable bills these days, the best live TV APK will save you some extra cash! Guaranteed! Exodus Live once downloaded and installed is easy to use. Free Live TV for Android is even made easy with Kodi Media Player! By clicking on the diamond icon at the top users can watch unlimited ad free movies on demand. Users can save their favourite channels or movies by simply clicking on the heart icon and your best live TV APK will remember these selections. Formerly known as XBMC, KODI is free open source media app that allows users to fully digitize their entertainment package all inone place as well as, share them on any media device. By downloading and configuring the software, Kodi enables its users to stream the latest movies, TV shows, music Ads FREE. Initially Kodi began as XBMP (Xbox Media Player) in 2002, before evolving into the better known XBMC (Xbox Media Centre) which was released in 2004.The software is becoming the more popular choice among people who want the ease of having their personalized networked home media centre. That is, a media hub in which you can watch your favourite TV series/ TV and listen to music. Non- technical, non- computer savvy users. Extremely busy users with too much other pertinent task at hand. Users not sold on Kodi, but just giving it a look. Kodi is a software tool just as legal as any other distributed under the GNU General Public License. However, just like any other software used for downloading and sharing information, Kodi can be used for less reputable activities. For example, watching illegally uploaded videos through Kodi Media Player. The task is therefore yours to use Kodi in a responsible manner that will cause no harm or infringes to anyone. Kodi is undoubtedly and completely a legal media centre software that you can use on any device of your choice. WHAT CAN KODI DO? IS KODI COMPATIBLE WITH MY DEVICE? Kodi is media software that enables its users to watch and listen to a wide array of music, TV Shows, and Videos all in one place and share on any device of your choosing. Kodi can turn your tablet, laptop, cell phone into a centralized media centre as, it is compatible with IOS, OS X, Linux, Windows, and Android. If any of the above describes you, then the following steps aim to exceed your expectations by getting your Kodi fully functional in seconds. As a complete Kodi setup guide, this blog will be focusing on the simplest method to install and completely setup Kodi on all platforms (Andriod, IOS, Mac, Linux, etc). Please Ensure To Uninstall Any Previous Kodi Version Before Installation! To install Kodi for Andriod you will need to visit Google Play if your android version is 5.0 and above. For users with android version 4.4.2 and below will have to install Kodi via: www.Kodi.tv/download. Users with android 5.0 who are having Google Play compatibility issues should also install Kodi from this website: www.Kodi.tv/download. Open Configurator and Click setup choose your setup build. That’s it! Your Kodi is now fully configured for you. Click setup Kodi and wait until progress bar completes. Follow these instructions to setup Kodi on your Mac. First, go to the official Kodi website and download the installation file. Once the process is complete, double-click on the file you have just downloaded. This will extract the necessary Disk Image. Your Mac will prompt you to drag and drop the app into the application folder. As soon as this is done, you can launch the Kodi app. Important!! You might get a notification on your Mac that does not allow you to open applications from unknown developers. Click on the little ‘Apple icon’ (top left corner of your screen). Then, go to ‘System Preferences’ -> ‘Security & Privacy.’ Now click ‘Unlock’ (lower left corner of the window), Finally turn on the ‘Anywhere’ option under the ‘Allow apps downloaded from’ section. 4. Launch Kodi and then go to System -> File Manager. Click on ‘Add Source’. Select ‘None’ and the enter the following: http://fusion.tvaddons.ag Click ‘Done’. Scroll to the empty bar and enter: fusion Click ‘Done’. Select ‘OK’. 5. From the home screen, go to ‘System’ -> ‘Settings’ -> ‘Add-ons’ Select ‘Install from zip file’. Choose ‘fusion’ -> ‘Start-Here’. Click on ‘plugin.program.addoninstaller-1.2.9.zip’ to install it. 6. Now, from the home screen, go to ‘Programs’ -> ‘Program add-ons’. Click ‘Addon Installer’ and wait for it to load. Then, select ‘Featured Addons’. Select Exodus and install it. From the Kodi home screen, choose ‘Videos’ -> ‘Addons’ -> Exodus. You can use the same process to install other top add-ons such as Alluc, SALTS, Pro Sports, SportsDevil, or UK Turk. Tap the Cydia icon on your homescreen. Tap on the team Kodi source. Tap on ‘All Packages’ and then on ‘Kodi-iOS’. Let it install, then exit Cydia. You should now have a new Kodi icon on your screen. It is quite easy to download Movies and TV Shows free using Kodi media player. Once downloaded, this will eradicate so many factors such as buffering or no sources which are a sore point for many Kodi Users. This set of instructions will guide you as to how to download and watch those Movies and TV Shows with little to no issues. We highly recommend you using the Konfigurata build. You can get it in one click on the Configurator for Kodi android app. We are going to use a popular add-on loved by so many Kodi Users. Exodus (Still works but upgraded to covenant) is one of the top Kodi add-ons that will cater to the needs of almost every Kodi User. Once the Movies and TV Shows are downloaded, they are sent straight to your device or your choice location. So without internet or having to deal with buffering you can enjoy your Movie or TV Show comfortably. The Exodus add-on must be installed in order to be able to use this guide to download your Movie or TV Show. Exodus comes pre-installed in the Konfigurata Kodi build. We are using Kodi 16.1 but it’s basically the same steps you would take if you were using a higher version of Kodi. The steps below are a guide to help you download your Movies and TV Shows on Kodi. Follow these steps to download your favorite Movie or TV Show from Kodi. But if you are using a local machine, simply right click to find the menu. Press the “Download” button and Confirm! The file will be in your chosen directory once completed. HAVE YOUR TOOLS HANDY? LET’S BEGIN! There are many websites that post video stream URLs. Many of them give you a daily updated list. Below is a few of them. You can search for more via search engine. A live stream url grabber I use is to search keyword such as ” #EXTINF:-1, Channel name” in Google search . Since live video streaming sites m3u playlist uses this format, you will definitely get more results. After you get results, its best to further sort result in terms of time. Like show all results 30 days ago. You are more likely to hit gold this way! Facebook has many pages that are dedicated in sharing channel links. Here you can also know how long ago the list was posted. Videourl posted months ago may be broken so look for stream urls recently posted. Stream url finder online is a matter of search, so dont just stop at Facebook. Try all the other social media websites as well such as Twitter, Linkedin, Pininterest, ect. After a few hours of searching, your streaming URL TV will be up and running perfectly! After you enter search term, make sure to click “sort by” and select date to get the most recent posts. KODI is a rich source for Live streaming url tv. There are many add-ons that you can add to Kodi that will give you a countless of Live TV channels. Because of this, you can easily extract the URL from these channels. 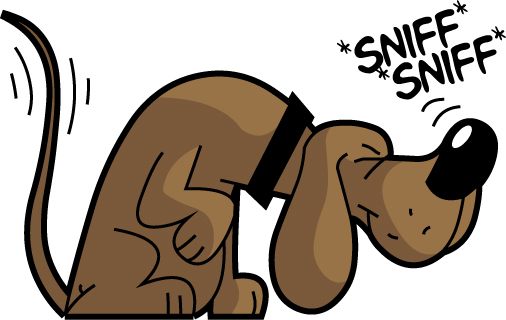 First, simply play a live channel, then open your URL extraction/url sniffer tool, then sniff and copy that channel videostream to your playlist. Test video stream url of course with Configurator URL stream tester. Check out my YouTube videos on “How to setup Kodi” and Live TV add-ons. Run an android emulator on your PC and install the IPTV apps. This way, both internet feeds to the extraction tool and the streaming app will be coming from the same network adapter. Once you are set, you simply turn on your sniffer tool, then play a live channels then copy stream URL to your playlist. This section as a security password. Please contact us via live chat for security password! As the greatest search engine giant, Google has almost anything a user desires and the same applies to getting IPTV links. Here I will show you the easy way to achieve same. I have made reference of this method on how to get video url from website above but here i will go in dept. Click to play video below and follow me on our “how to get stream url” journey! SAMPLE VIDEO URLS GRABBED BY USING THE METHODS ABOVE ARE POSTED BELOW IN COMMENTS. PLEASE ALSO COMMENT YOUR WORKING URL VIDEOSTREAM URL TO KEEP THIS COMMUNITY OF SHARING ALIVE! NB: To test any of these videostream urls in comments, please download the Configurator vlc streamer tester ! Cable TV prices are through the roof, and because of this, more and more people are looking at “Cutting the Cord” — we’re all looking for alternatives to cable TV. So if you’re trying to figure out just how to cut the cord and how to get free cable TV, you’re going to want to read this list of the 8 best apps for cutting the cord. There are a lot of options out there to stream your favorite shows. It is the least bit overwhelming as you are given options of testing what they offer before committing to it. They all offer free trials with no contracts. There is no risk to try them out. Don’t overthink it at all! When it’s time to ditch the Cable TV providers, there’s no denying it. Try cutting the cord. If you discover it isn’t for you, you can always revert to your old ways. Exodus Live is the new, efficient and super easy Android APK app which allows users to watch Cable TV and stream the latest movies from your Android device. With Exodus Live TV, users can access over four hundred channels that are 100% free. Its user-friendly navigation tab gives a wide array of options for user to comfortably switch to their favorite local or international Cable TV channels which ranges from the UK, Caribbean and the US (including interstate channels). Configurator TV has the popular channels that you know and love such as: HBO, Disney, HSN, CBS, TNT, Lifetime, ESPN, Sports Max, Euro Sports 2, CNN, Fox, NBC News, KTLA, NOTV, News12, WSFA, KTVM, ABC 27 News, and many, many more. Since Netflix posts entire seasons all at once, it’s a great place for binge-watching. You’ll just have to wait until a season ends to even get started. But hey, no commercials. Accessing the service shouldn’t be a problem either. You probably have 10 devices in your house right now that came preloaded with the Netflix app. This is a great option for cutting out the Cable TV Provider. Hulu has the FREE option as well as the $8 per month. 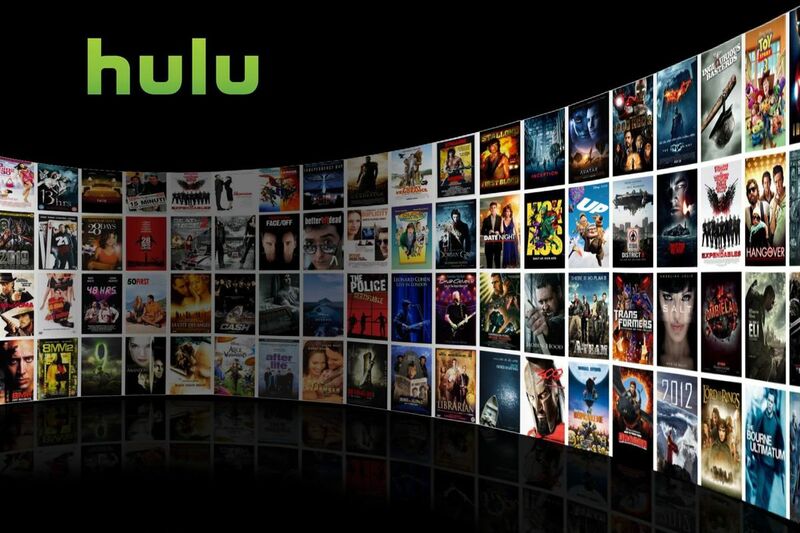 While Hulu’s free version allows viewers instant access to a limited number of Cable TV episodes through a web browser, Hulu Plus steps it up a notch. For $8 per month, you can access currently airing shows as well as many past seasons, and you can watch either online or on a variety of mobile and set top devices. The catch? You have to sit through repetitive commercials. Lots of them—even with the paid version. On the upside, it’s way better than your regular Cable TV provider. YouTube is well known for distributing viral content like Auto-Tune the News and Evolution of Dance. But it’s also a great place to get an education. In the span of a few minutes, you can learn everything from how to put on eyeliner to how to build a bookshelf. 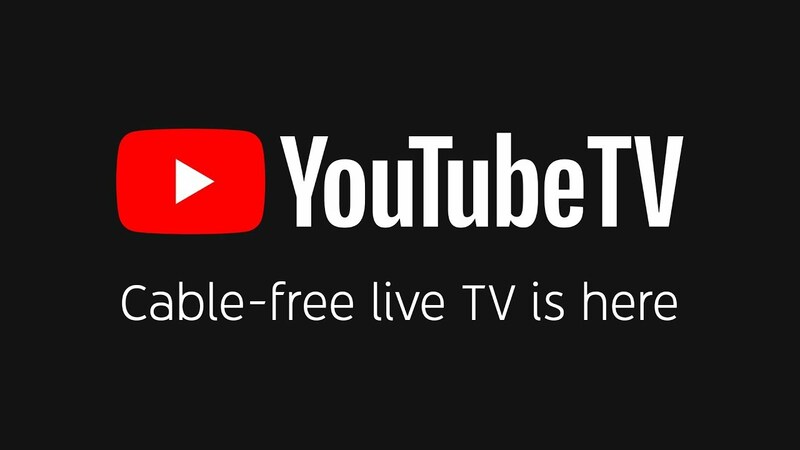 YouTube TV is hoping to re-shape the cord-cutting movement. From the looks of things, it has good reason to believe that can happen. After all, YouTube was the biggest name in video streaming long before Hulu, Netflix and Amazon ever thought to get into the video-on-demand game. The service is essentially a cable replacement, offering live Cable TV to your phone, tablet and television without a costly cable subscription and contract from those Cable providers. It’s a deal that feels too good to be true for those of us bombarded by cable box rental fees, hidden charges and ever-higher cable tv bills. And while it has some negatives out there – like being available in just 83 cities across the US – it could one day put cable providers in their place. Viewers are able to watch recently aired episodes online for a limited amount of time. They are able to download network apps to a smart TV or a smart phone. The CW Channel is one such that allows viewers to watch their current season shows for FREE. You don’t even need a cable TV login from your cable provider. This makes it a good cable TV option. It works on all major streaming devices, including Roku, Apple TV, Amazon Fire TV, Chromecast, Android, and iOS. For vast libraries of movies and TV content prior to the current season, I recommend getting the 30-day free trial to Amazon Prime. Another big reason to get Amazon Prime is the option of adding Showtime and Starz with your subscription. For just $8.99 per month, you have every cable TV show and movie offered by Starz and Showtime just as if you had the network with a cable provider. Not only do you have access to stream over 40,000 hit movies and TV shows, but you get free music, books, and unlimited photo storage as well. Over the last few years, it’s built up its catalog and offers some great exclusive shows, like “Transparent,” “Red Oaks,” and the forthcoming “The Man in the High Castle.” And only members of Amazon Prime can stream these shows. Watch shows live (Like with cable or satellite) over the internet, and add a different lineup of networks for an additional fee. Sling TV, a service from the satellite provider Dish, gives you live, streaming TV for $20 per month. The base package comes with 23 channels, including ESPN, AMC and TBS, but doesn’t have networks like ABC, CBS, Fox, and NBC. It’s essentially cable TV without the contract or the massive bill. Sling also added a second base package that swaps out the Disney Owned stations for FOX owned stations including FS1. This package also allows the ability for multiple streams. There are also add-on channels packs and premium channels like HBO and Cinemax. Check out my Sling TV Review for more details. Cutting the cord won’t leave you traumatized. I don’t miss my bills at all. I am quite content with all the shows I can pick, choose and refuse from. The minor payments I make to keep connected to these services don’t hurt me as much as my old bill used to. I am enjoying my “cord-free” life. You may gain Technical Support through our Online Chat. Our representatives are ready and willing to answer your questions.